Source Credits: Most of our questions and answers are taken directly, with permission, from documents compiled by Bob Hatcher and Peter Nye. Bob Hatcher, Nongame & Endangered Wildlife Coordinator for the Tennessee Wildlife Resources Agency from 1978 – 2001. Lifetime Achievement Award, Tennessee Chapter, The Wildlife Society. Bob led the Tennessee Eagle Program from 1980 – 2000 and served on the Southeastern Bald Eagle Recovery Team from 1997-2001. He has written many authoritative publications on eagles. 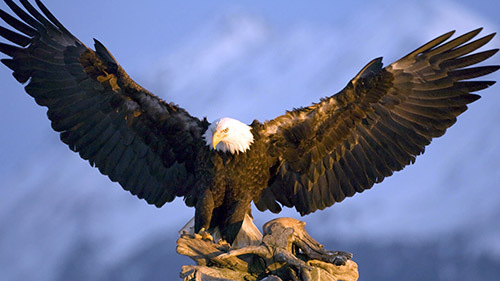 After retiring from the TWRA in 2001, Bob served as an eagle consultant with the American Eagle Foundation, responding to email questions from viewers. He was also the leader of a Bald Eagle Grant Advisory Team, advising AEF concerning its administration of an endowment fund from the Bald Eagle Commemorative Act of 2004. Peter Nye, retired from New York’s Department of Environmental Conservation, is one of the top eagle biologists in the nation. He was a pioneer in re-establishing eagles after their population declined dramatically, due to DDT. He is credited for bringing back the Bald Eagle to New York state. In 1976, Peter developed a way of raising young eagles known as ‘hacking.’ Nye and his colleagues went to Alaska, where eagles were still abundant, and gathered young. Like foster parents, they raised the young eagles back in New York in hacking towers until the eagles were old enough to fly. Slowly but surely, year after year, the population has continued to build. 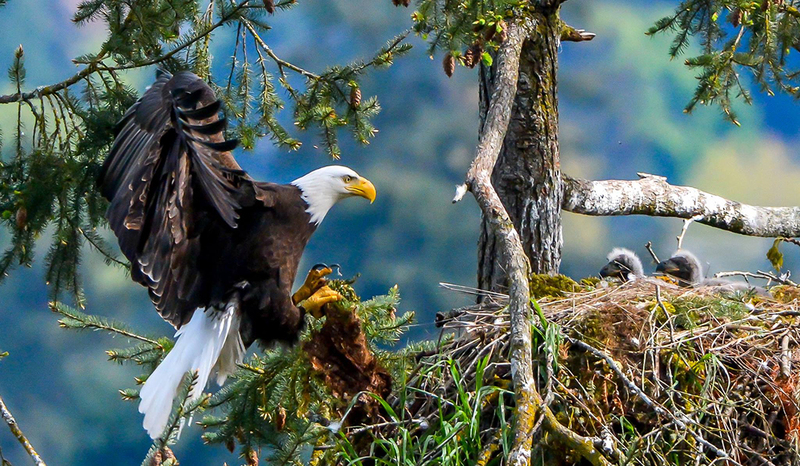 In fact, there were 70 nesting pairs that fledged 94 young Bald Eagles in New York in the summer of 2002!